Thank you for your interest in working for the Yellowstone High Adventure Outpost. The YHAO staff works hard and takes their play very seriously. Many are Eagle Scouts and have significant high adventure experience and professional training. YHAO staff must be able to independently run their program, and manage risk as well as be good teachers. Staff must be trained in CPR and Wilderness First Aid at a minimum with Wilderness First Responder greatly preferred. Our staff pay is comparable with the BSA high adventure bases and we have several gear discounts to supplement our discount at local outdoor shops. 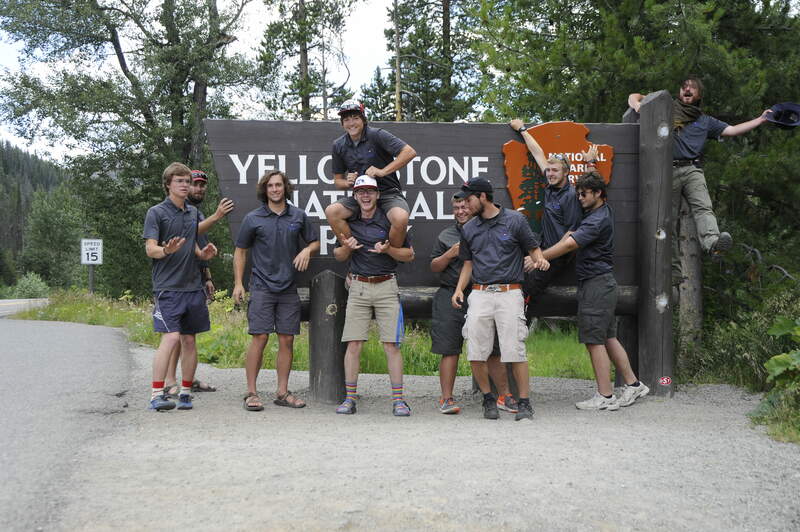 The Yellowstone High Adventure Outpost at Camp Buffalo Bill provides rafting, climbing and backpacking programs in the summer and winter programs for Boy Scouts and Venturers based out of our facility 7 miles east of Yellowstone National Park. YHAO bridges the gap between BSA high adventure bases like Philmont and professional outdoor education programs such as NOLS and Outward Bound. With an emphasis on teaching, our participants learn state of the industry outdoor skills. At the end of their program, our participants are well on their way to being able to do the activity on their own. For example, in our whitewater program, participants don’t just ride along in a raft, they learn to fit a PFD, rig a gear boat, read the water, scout a rapid, use a throwbag, row an oar rig and guide a paddleboat. Our climbing program includes gear placement and anchor building. The trek program utilizes over 2.9 million acres of wilderness that provide ample opportunities to teach. On any given day in the backcountry, scouts might learn how to cross a river, make a backcountry pizza, plan and follow an off trail route and the occasional mid-July snowball fight. Leave No Trace is a core part of the curriculum for all of our programs and a LNT Trainer or Master certification is highly desirable. If you think you have what it takes to be a YHAO staffer, we look forward to seeing your application.